Art is a wonderfully versatile home decoration tool. 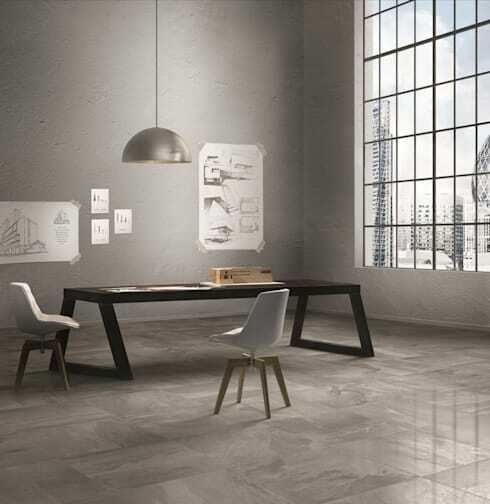 It not only delivers cultural significance, but also infuses the space with a sense of style. 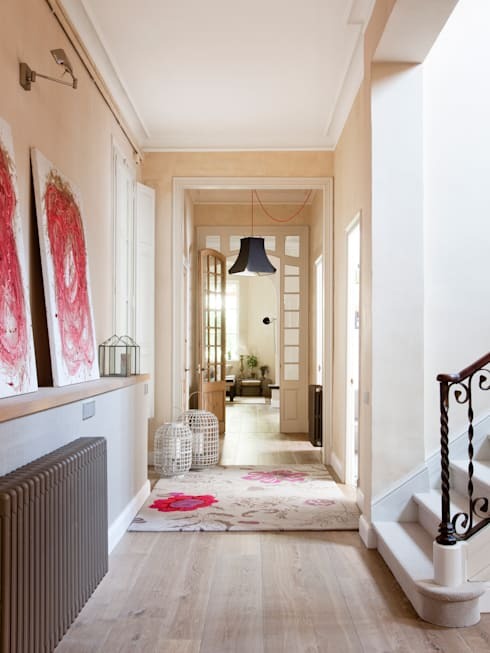 One of the easiest ways to inject a little life into a dowdy or dull interior is with the smart inclusion of visual art. 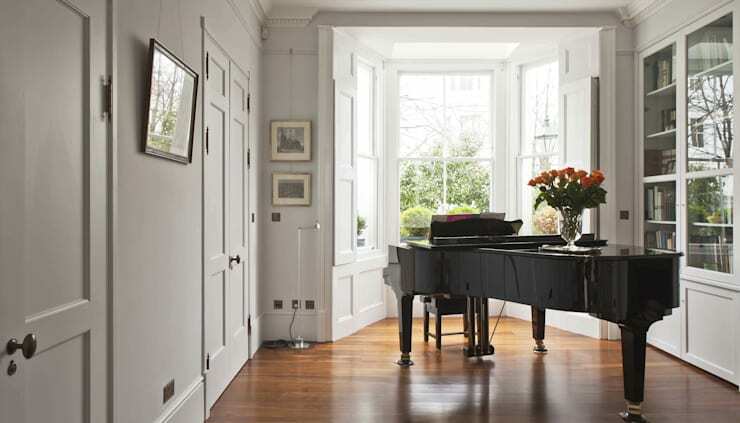 From photography to oil paint, watercolours to lithographs, there are a multitude of choices when it comes to filling one’s home with vivacity and spirit. But one problem that commonly arises is how to hang or display the image to increase its appeal. Correctly hanging or displaying art can be a task unto itself—hang a picture incorrectly and you will change its perception and influence; hang a piece correctly and the image will exude sophistication, while enhancing your interior décor. Not sure where to start? Check out the following examples below, and get some inspiration and tips for your next art-hanging home project. This may sound confusing, but once you do it, it is simple enough. And the same rule is followed for groups of images, large or small. The centre of the cluster, or centre of the single picture is always 145cm (or 150cm depending on preference) from the floor. The main reason for this height is the average person’s eye level. You want to ensure all you art is at the same level to maximise its viewing potential. This example shows a picture hung in a slightly different, slightly higher position, but as it tilts downward slightly, towards our eyes, the extra height is needed for viewing. Why not fill the wall with your art? This example illustrates a fabulous way to give yourself a stylishly bright and lively wall, with the added benefit of it being original, innovative and exciting. If you don’t have enough art to fill your wall, try making some. Old record covers or magazines can be stylishly kitschy home décor items, and when framed look professional and interesting. 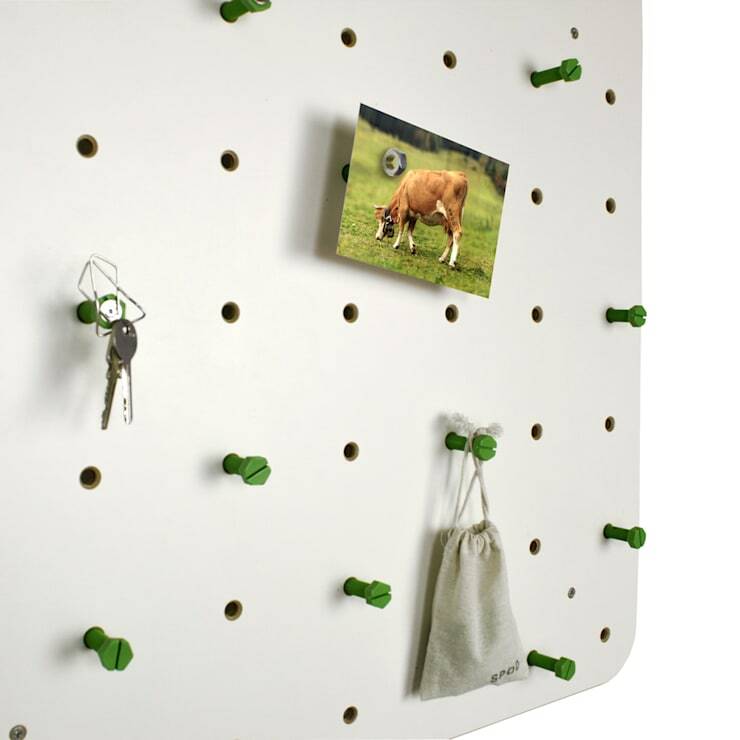 Not exactly the most common way to display art, perhaps not a way to display art at all, but this cute pegboard is a great way to put up some stylish snaps, while incorporating a multipurpose and functionally stylish home accessory. 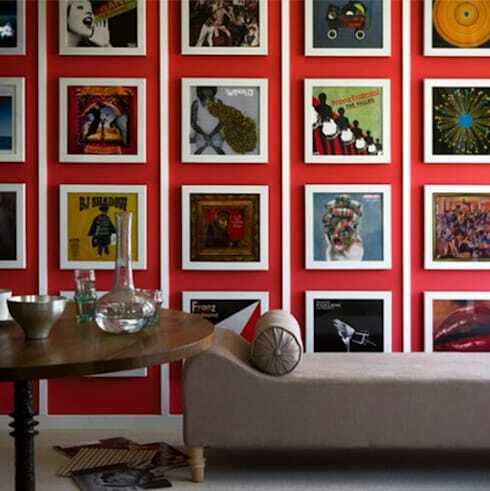 Salon style walls, or gallery walls as many people refer to them, are excellent ways to incorporate a range of different pictures into you home decoration. This group of contrasting pictures looks fabulous in this bathroom space. Balancing the neutral colour scheme, this design offers the tub occupant something to feast their eyes at, while resting and relaxing. Sick of hanging things on the walls with nails? Just tape them up instead. These days we are seeing more and more ways to display art within one’s home. This ingenious, and frankly, quite simple idea looks edgy, carefree, and is super easy to do. Take sketches, photos, drawings or prints with some safe and re-sealable masking tape for an arty, easy and stylish home. A different type of wall décor that has become extremely popular is the stick-on wall mural. 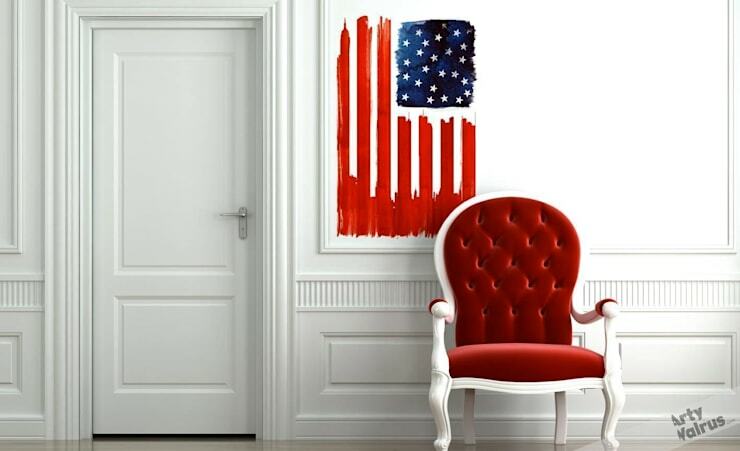 This one in the form of a painted US flag coordinates with the red and white chair, while adding interest to the fresh and stark white walls. Why hang it at all? Are hanging pictures more trouble than they’re worth? Probably not, the look fabulous and present your art in the most traditional and appropriate way, but if you truly cannot muster the strength or will to attempt to hang a picture, then here is a fabulously attractive alternative. In this instance, the art actually looks wonderful resting against the purposeful hallway shelf. This effortless art display enhances the light, bright and eclectic surrounding décor.